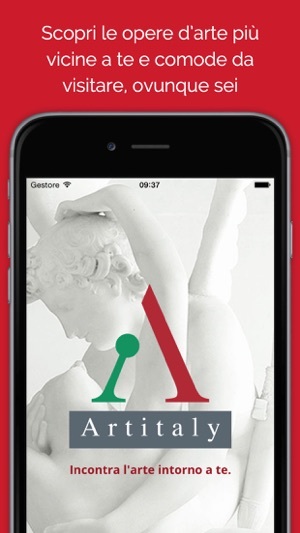 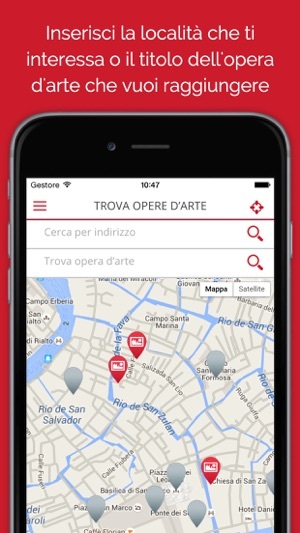 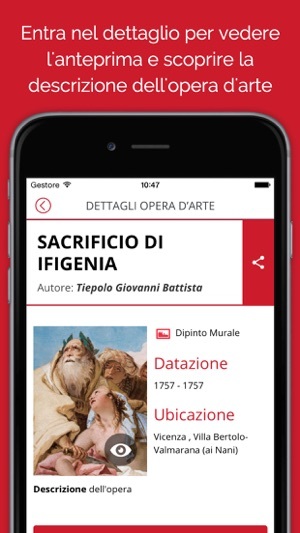 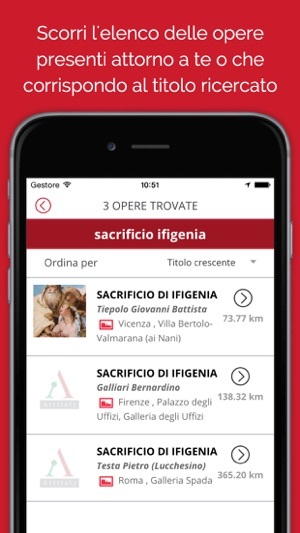 Download Artitaly and discover the art masterpieces that cannot be found in guidebooks: enter the location and get informations about the paintings and sculptures in the surrounding area, the distance from your location, author and dating, and thanks to the location system your smartphone or tablet, you can get directions to go to see them. 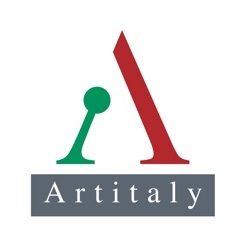 - Thousands of paintings and sculptures from all over Italy in the database. 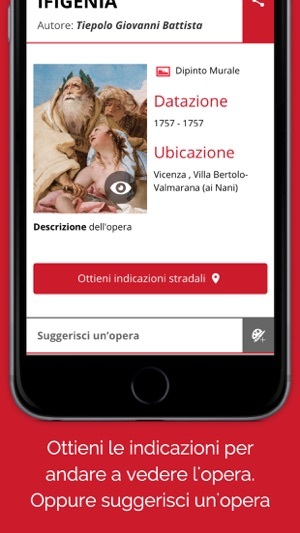 Now you can find the best exhibitions around you.